PRICE REDUCED. Block home on approximately 1.35 acres, located minutes from downtown, horse privileges, SRP irrigation, basement, 2 fireplaces, tile flooring, large covered patio with in-ground pit BBQ. Refrigerator, washer and dryer stay as is. Spa and wood stove on patio do not convey. Has both A/C and evap, 3-phase electric. 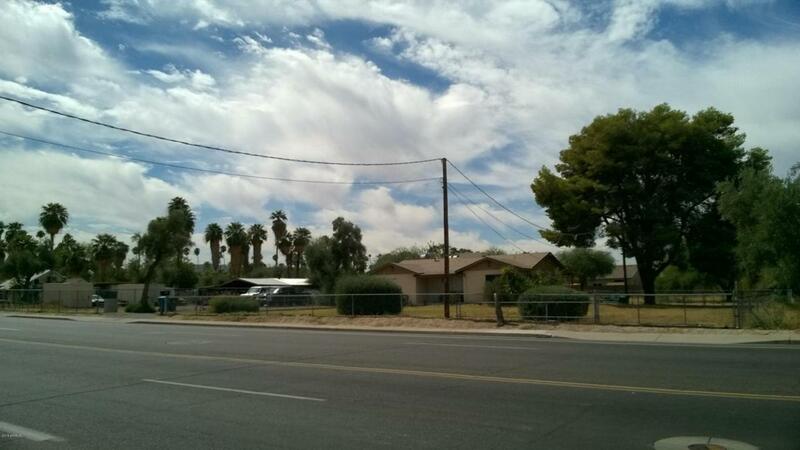 Close to downtown, airport, shopping and transportation. Property has gravel parking spaces. Seller will pay $500 towards a home warranty at close of escrow. Listing courtesy of Hacienda Realty.